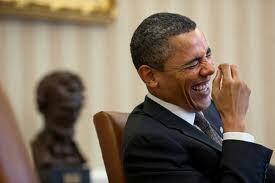 When the “Affordable” Care Act was passed, it expanded tax-payer funded health coverage through Medicaid. States that agreed to participate and expand eligibility would be reimbursed by the federal government at 100% of the costs with those reimbursement costs declining by 2020. “At this point, many states have seen dramatic increases in their Medicaid enrollment levels beyond original expectations, which may pose serious fiscal consequences. While this growth speaks volumes about the progress toward meeting the federal government’s goal of increasing the number of Americans with health insurance, it arguably falls short in addressing the financial burden to state governments. Oregon Live reported on Tuesday that the state’s general fund and lottery revenues could total $23.6 billion from 2019 to 2021, a 5 percent increase from the current budget, yet the state could still go $623 million in the red, according to a tentative budget overview from the Legislative Fiscal Office and Department of Administrative Services. Adding to that deficit is education costs that will increase due to the passage of Measure 98 in 2016. That will result in an increase in spending on the programs by $147 million annually. How’s that “big f*cking deal” working out for you now, demorats? From CNN Money: California signed up an estimated 450,000 people under Medicaid expansion who may not have been eligible for coverage, according to a report by the U.S. Health and Human Services’ chief watchdog. In a Feb. 21 report, the HHS’ inspector general estimated that California spent $738.2 million on 366,078 expansion beneficiaries who were ineligible. It spent an additional $416.5 million for 79,055 expansion enrollees who were “potentially” ineligible, auditors found. Auditors said nearly 90% of the $1.15 billion in questionable payments involved federal money, while the rest came from the state’s Medicaid program, known as Medi-Cal. They examined a six-month period from Oct. 1, 2014, to March 31, 2015, when Medicaid payments of $6.2 billion were made related to 1.9 million newly eligible enrollees. There were limitations to the California review, however. The audit extrapolated from a sample of 150 beneficiaries. The authors reported a 90% confidence level in their results — whereas 95% would be more common. That meant that the number of those ineligible could have been as low as 260,000 or as high as 630,000. Nonetheless, the audit highlighted weaknesses in California’s Medicaid program, the largest in the nation with 13.4 million enrollees and an annual budget topping $100 billion, counting federal and state money. Medicaid covers one in three Californians. Among the 150 expansion enrollees analyzed in detail, 75%, or 112, were deemed eligible for the Medicaid program in California. Auditors discovered a variety of problems with the other 38 enrollees. During the audit period, 12 enrollees in the sample group had incomes above 138% of the federal poverty line, making them ineligible financially for public assistance, according to the report. In other instances, beneficiaries were already enrolled in Medicare, the federal health insurance for people 65 and older or who have severe disabilities, and did not qualify for Medi-Cal. Onewoman indicated she didn’t want Medi-Cal but was enrolled anyway. Obamacare going as planned. Let’s hope we can get rid of this monstrosity. From Yahoo: While Republicans rewrite the Affordable Care Act in Washington, the future of the current law has grown hazier with the nation’s third-largest health insurer completely divorcing itself from state-based insurance markets. Aetna said late Wednesday that it won’t sell individual coverage next year in its two remaining states — Nebraska and Delaware — after projecting a $200 million loss this year. It had already dropped Iowa and Virginia for next year. The insurer once sold the coverage in 15 states, but slashed that to four after losing about $450 million in 2016. The government-backed marketplaces are a pillar of the Obama-era federal law because they allow millions of people to buy health insurance with help from income-based tax credits. But insurers like Humana, and now Aetna, have been fleeing that market, and the remaining coverage options are growing thin. Other companies like the Blue Cross-Blue Shield insurer Anthem say they are wary of returning without a guarantee that the government will provide cost-sharing subsidies that reduce expenses like co-payments. Those are separate from the tax credits that help pay premiums. The White House has assured lawmakers it will continue paying the subsidies, but it has offered no long-term guarantee. About 12 million people bought coverage for this year on the exchanges, and every market had at least one insurer offering coverage. But a growing number were down to one. Companies are in the middle of figuring out their prices and coverage plans for next year, and insurance experts expect some holes to develop in those marketplaces. The federal law prevents insurers from rejecting patients based on their health, so if competitors pull out, the last insurer may be left covering all the high-cost patients in that market. Metropolitan or highly populated areas are still expected to draw several insurers. But rural areas may not be attractive to insurers looking to cut losses. They generally have a smaller, older population. Ultimately, insurers with the most common brand in health insurance, Blue Cross-Blue Shield, will decide the fate of the marketplaces. Many of those plans specialize in individual insurance and have a long-standing presence in their markets. They also are the only remaining option on exchanges in nearly a third of the nation’s more than 3,100 counties. From Vocativ: Activists are planning several protests around the country — at elected representatives’ offices and places of worship — to mourn for those they say will die if the Affordable Care Act is repealed. Protesters are holding candlelight vigils, symbolic funerals, and die-in demonstrations to protest President Trump and the Republican Party’s efforts to repeal and replace Obamacare with a new bill, called the American Health Care Act or AHCA. The first vote by the House of Representatives on the measure is scheduled for Thursday. Organizing For Action, the political advocacy group that grew out of President Obama’s first presidential campaign, is planning a funeral procession in New York’s Staten Island with an effigy of Trump as the grim reaper. The protest, planned for Thursday, will march to Representative Dan Donovan’s office. The American Health Care Act is scheduled for a floor vote in the House of Representatives on March 23. President Trump and his administration have reportedly held a series of phone calls and meeting intended to pressure Republicans opposed to the bill to fall in line. Several Republican lawmakers have come out against the bill, which they say fails to live up to promises of a full Obamacare repeal. According to the non-partisan Congressional Budget Office, some 24 million Americans are estimated to lose health insurance over the next decade if the plan goes through. From Fox News: The United Nations warned the Trump administration earlier this year that repealing ObamaCare without providing an adequate replacement would be a violation of multiple international laws, according to a new report. Though the Trump administration is likely to ignore the U.N. warning, The Washington Post reported the Office of the U.N. High Commission on Human Rights in Geneva sent an “urgent appeal” on Feb 2. Congressional Republicans failed in March to pass an ObamaCare replacement bill. A new proposal is emerging on Capitol Hill, but it’s unclear when it might be considered and how sweeping it may be. Xabier Celaya, a spokesman for the U.N., said Puras cannot comment on his ObamaCare letter until it becomes public in June. Though the report calls out the Trump administration, there’s very little the U.N. can actually do. According to the report, the letter sent to the Trump administration also was supposed to be shared with the majority and minority leaders in both houses of Congress — but that did not happen. House Minority Leader Nancy Pelosi’s office and Senate Minority Leader Charles Schumer’s office said they never received the letter, as did officials in House Speaker Paul Ryan and Senate Majority Leader Mitch McConnell’s office. The letter from Puras did make its way to the Department of Health and Human Services, where an unnamed employee supposedly leaked it. From Yahoo: While Republicans continue to grapple with plans to repeal and replace Obamacare and stabilize health insurance rates, Humana (HUM) is the first major insurer to say it is dropping out of the individual market for 2018. The health insurer made the announcement with its earnings update, following the mutual termination of its $34 billion merger agreement with Aetna (AET) earlier in the day. The two insurers agreed to part ways , after a federal court judge blocked the deal on antitrust grounds. Humana now expects to earn $10.80 to $11.00 per share for 2017, excluding anticipated losses on its exchange business. 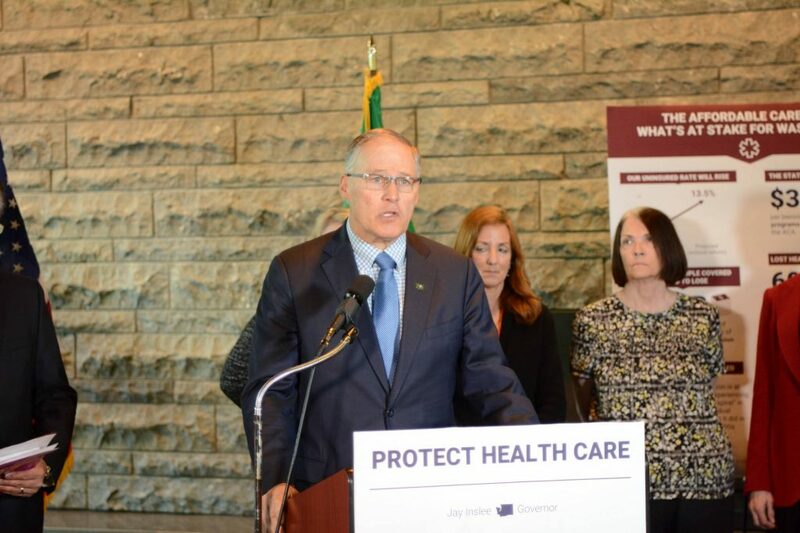 Humana cut back its Affordable Care Act exchange participation to 11 states last July, when the Department Of Justice sued to block its deal with Aetna. The insurer said that despite efforts to mitigate losses on its exchange plans in 2017 through narrower networks and selective market participation, it is seeing early signs of high pharmacy utilization among its new members. Other health insurers have threatened to pull out of the individual market if there is no clarity from Capitol Hill or Trump’s health officials on stabilizing the markets, but Humana is the first to say that it will pull out altogether. Leading up to 2017 open enrollment, the exchange markets experienced tremendous turbulence last year, after most major insurers, including Humana, cut back on participation after suffering big losses on exchange plans. Humana is a leading Medicare Advantage plan provider, and executives said that they don’t believe that they can achieve the same kind of health-care models on the Obamacare exchanges that they achieve with health plans for seniors. The company does not hold out hope for more detail on Republican “repeal and replace” plans in the near term. Trump Derangement Syndrome on steroids. From Glamour: Just days into his presidency, President Donald Trump began to take steps toward repealing the Affordable Care Act (also known as Obamacare). After a midnight Senate vote left the road clear for Trump to gut the health care plan, millions of Americans stand in limbo—uncertain if they stand to lose the coverage they gained under the Act, and even more unclear on what plan Trump has to replace it. What is certain, however, is that the effects of repealing Obamacare will be devastating, especially for women (nevermind the fact that because of Obamacare, my health insurance premiums went up 80% this year and I have a crazy high deductible). To help drive this point home, illustrator Maritza Lugo and writer Danielle Sepulveres employed their “god-given talents” to combat the “GOP’s war on women,” Lugo writes on Instagram. The Latina duo revamped their series of illustrations featuring Disney princesses attempting to go to the gynecologist (which first debuted last year as part of cervical cancer awareness month)—and it now includes the new, terrifying realities these princesses would face if the Affordable Care Act was repealed. They include Elena of Avalor being turned away from Planned Parenthood, Aladdin and Jasmine forced to hold a funeral for their miscarried child, Belle having to pay out-of-pocket for birth control, Pocahontas being denied coverage for a pre-existing condition, and Tiana having trouble getting her HPV vaccine. Lugo draws the Disney illustrations, Sepulveres writes the captions, and the results are poignant, to say the least. Read the rest of the hyperbole here. I’ll bet that those in favor of Obamacare didn’t receive an 80 percent increase notice for their health care premiums for 2017. Via NY Post: Barely a quarter of Americans want ObamaCare completely dismantled, while nearly half want it kept as is — or even expanded, pollsters said Thursday. In a post-election poll commissioned by the nonpartisan Kaiser Family Foundation, 26 percent of respondents said they want all of the Affordable Care Act repealed. Pollsters found that 19 percent of those surveyed said they like the status quo, and 30 percent want ObamaCare expanded. President-elect Donald Trump — who spent the campaign trashing ObamaCare and promising to repeal it — has already backtracked on that pledge. Trump now says he wants to keep at least two major ObamaCare provisions — allowing children to remain on a parent’s plan until age 26, and barring insurers from denying coverage based on pre-existing conditions. That approach seems to match with 17 percent of poll respondents, who want ObamaCare scaled back but not thrown out entirely. Republican respondents, at a 52 percent clip, were strongly in favor of killing ObamaCare altogether, this poll found. But even that’s a shift down from 69 percent of GOP backers who said a month ago they wanted all of ObamaCare trashed. This poll was conducted between Nov. 15 and 21 with a margin of error of plus or minus 3 percentage points. Via NY Post: The social-justice warriors of Harvard are on the march again, this time in solidarity with the university’s dining-hall workers. Students and faculty have spent the past few days protesting low wages and an increase in health-care premiums for the people serving their grilled cheese, french fries and occasional lobster dinners. On Oct. 5, about 750 workers went on strike. It was Harvard’s first such revolt in 33 years, and strikes are becoming more common at colleges across the country. In Pennsylvania, thousands of faculty went on strike at 14 colleges and universities on Wednesday alone. Harvard was fortunately prepared, having stocked up on frozen food for students in the days leading up to the walkout. But who knows when their TV dinners will run out. Two weeks later, things seem to have reached an impasse. Harvard has closed six of its 14 dining halls, staffing its remaining ones with temporary workers and giving students money to spend at local pizza joints. In its defense, Harvard says, the dining-hall workers make an average of almost $22 per hour, more than the $15 living wage required by the People’s Republic of Cambridge. Moreover, the university says that health-care costs are going up all over the country and dining-hall workers are going to have to bear some of the brunt of that. The Chronicle of Higher Education sums up Harvard’s problem pretty well. “How does the richest university in the world negotiate with some of its lowest-paid workers?” the publication asks. When your endowment is over $37 billion, why don’t you pay the people who serve food more than $30,000 per year? Harvard’s undergraduates clearly see the plight of its dining-hall workers as the latest story of oppression in American history. But they seem not to see that Harvard professors actually support the very policies that have put the university in this bind. In 2014, 10 Harvard scholars sent a letter to Congress insisting that an increase in the minimum wage would not negatively affect employment rates. Indeed, former Harvard Law professor and current Massachusetts Sen. Elizabeth Warren has testified before Congress in favor of a $22 minimum wage. The assumption of these liberal scholars is that the rich who run corporations (or “nonprofit” institutions in this case) are simply hoarding money. If we want the poor to get more money, employers of these workers should just pay them more. And if they don’t, we should get the government to mandate that they do. Who cares if you’re paying more than minimum wage? If you have more money, fork it over. Why shouldn’t dining-hall workers make as much as English professors? The laws of supply and demand simply don’t enter into the thinking of pointy-headed students and faculty. The real sticking point in negotiations with the dining-hall workers is rising health insurance premiums. The cost of health insurance has gone up somewhere around 20% nationwide because of the Affordable Care Act. Insurance companies are canceling plans left and right, and the pool of insured people are older and less healthy than forecasters projected — meaning that it’s going to get worse. The Harvard faculty screamed bloody murder last year when the administration tried to raise their health-insurance premiums. Obviously, their dining-hall workers are less able to absorb these increases. But the policies pushed in Harvard’s faculty lounges have left everyone — not just the students eating ramen noodles — much worse off.